Using Facebook pages to promote companies, bands, actors, websites and whatnot is now as commonplace as breathing, especially since Facebook is the trend of the moment, beating Google in terms of traffic. 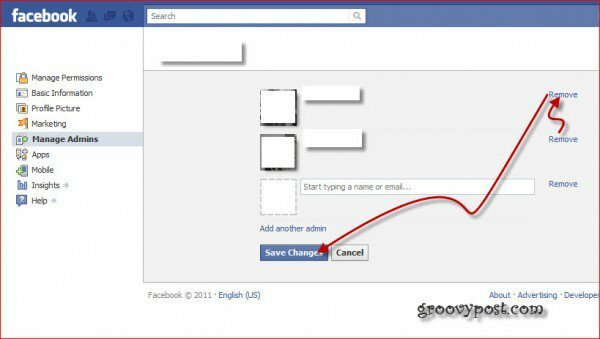 But what to do when you want to add another admin to your Facebook page, or to remove one? Did you even know you could or should? Good news, I have a quick groovyPost to explain the process! First of all, you will want to login to Facebook with the account the page is associated with (duh! :) and… again, you need to be an Admin for that page to have the Admin permissions. 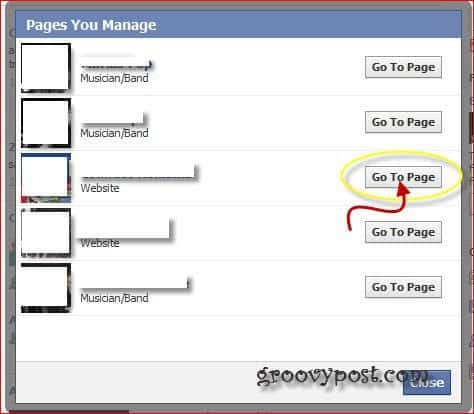 On your Facebook home page, go to Account, and then to Manage Pages. 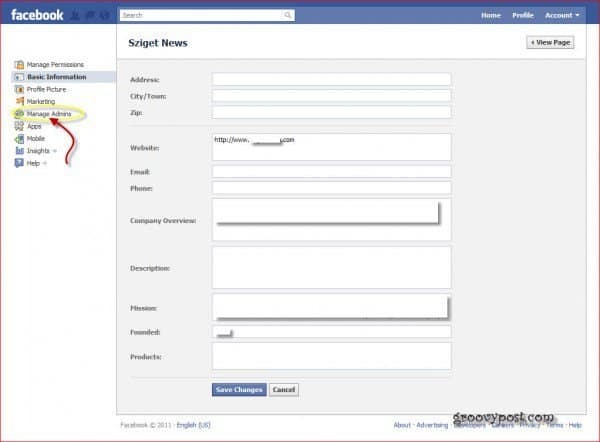 Here you will be shown the various facebook Pages your allowed to manage. Choose the one you want to add admins / remove admins for by clicking Go To Page. 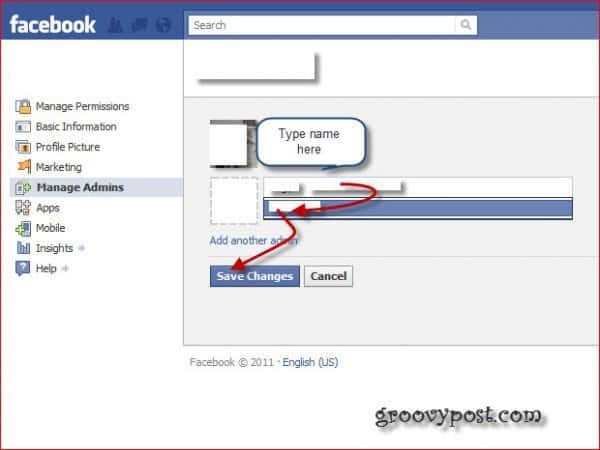 Tip: The alternate way is just typing the exact address of the page in the browser (provided you know it). 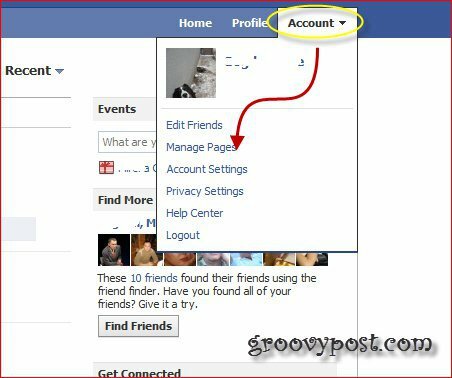 Whatever method you used, you should now be on the Facebook page for which you want to edit admins. 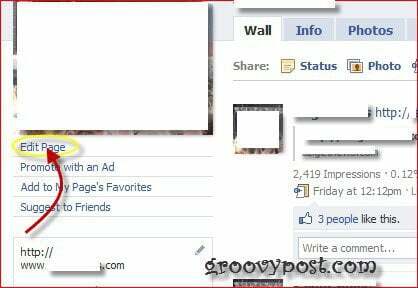 Now, click Edit Page below the Page picture on the left side. Just look at the image below to see where. On the menu on the left side, select Manage Admins. Now you are in the Admin management page. All you have to do to add another admin to your page is to type the beginning of his name or email in the box (as seen in the image) and, once you’ve chosen one, click on his or her name. Now he’s an admin on your page. You can do this for all the people you need to add. When done, click Save Changes. If you want to remove someone from the list of Admins, just go through steps 1-4, and then, when you got to the admin management page, just click Remove next to his name, as seen below. Then, don’t forget to Save Changes. He’ll be out of your life page instantly. That’s it! Not too difficult right! Thanks for this. This is a handy article to direct some of my clients to. Then they can set up their fan sites and we can co admin.